All our professionals at Pristine Family Dental maintain the highest levels of accreditation and pursue ongoing education to stay abreast of the latest trends in dentistry. A graduate from prestigious and reputable New York University College of Dentistry with honors in General Practice, prior to that she attended University of Illinois at Chicago where she obtained her undergraduate degree in Chemistry. After graduating from NYU, Dr. Khan completed a General Practice Residency at Loyola University Medical Center which rounded out her educational career. Dr. Khan also held a full-time faculty position at Stritch School of Medicine at Loyola University of Chicago. Dr. Khan’s professional affiliations include: The American Dental Association, Illinois State Dental Association, Chicago Dental Society and the American Academy of General Dentistry. 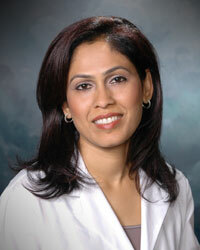 Dr. Khan is very committed to her patients and their oral health. Oral Health is an integral part of your overall health and she wants to help keep you healthy. She is married with three children. She enjoys music, drawing, running, and spending time with her husband, their three children, family and friends. 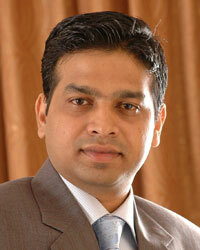 A licensed Periodontist and General Dentist, Dr. Sway is recognized as an expert in cosmetic periodontal surgeries. A few of these services include tissue grafting, gingivectomies, crown lengthening, implant placement, bone grafts. Dr. Sway has submitted multiple articles for publication and is a contributor to many research studies. Dr. Sway brings 9 years of periodontal experience to Pristine Family Dental. In his free time, Dr. Sway enjoys spending time with his wife.